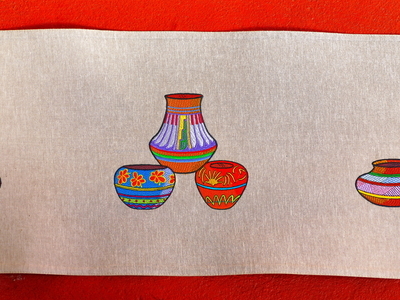 It took many hours to embroider these bright Mexican vases on my table runner, but it will look very nice on my table with all the glaring colors. Beautiful stitching! Looks like the time involved was worth it! Those are very pretty and bright. I love it. Nice combination of colors ! Thank you Chris. The blank runner is from Big W, the vases are by Brother (not absolutely sure)! Well done! Love your bright colors. 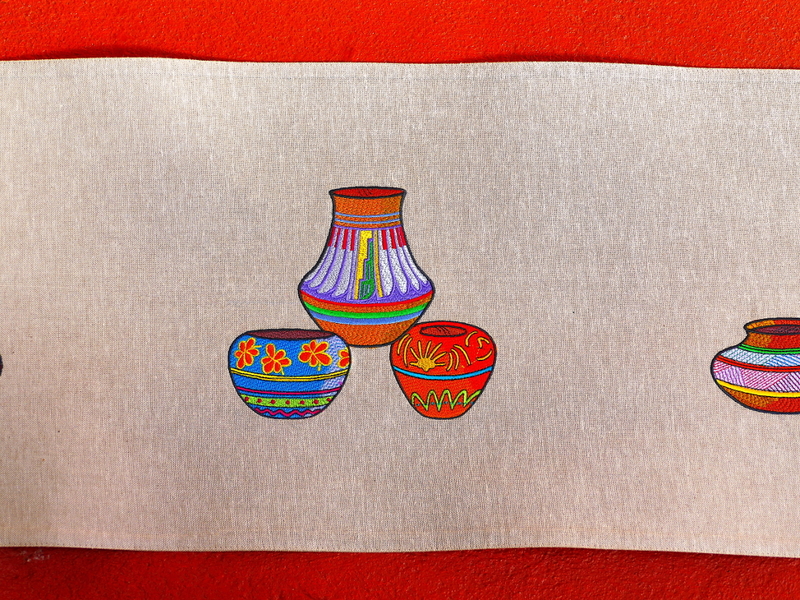 Wow, that's a great table runner! Well done Roberta. They look very nice. I saw some big dishes very much like these in a speciality shop here in Queensland and thought how beautiful they were and wished I had a big Kitchen where I could display them.